The Ontario government’s announcement that it will build a new subway line and expand others is being hailed as a savvy infrastructure investment, and one that’s long overdue. Manahan also reckons that the subway extension could catalyze redevelopment in the surrounding environment. “There are some older towers around the Ontario Science Centre and they have some green space around them,” he said. “They wanted to increase density, and I would think there’s potential for that area to see a catalyst of activity. "Carlaw is where the alignment is supposed to go and there has been a lot of redevelopment there over the last several years, but now I'm sure there will be more, and that's a good thing." The provincial government also intends to take control of subway stations and Manahan is convinced that could open the door to creative development strategies, like building towers on top of, and around, subway stations. Michael Lindsay, who Premier Doug Ford appointed as an advisor on how to upload control of Toronto’s subway to the province, has spent months conducting consultations on how to proceed and may have a plan in place. 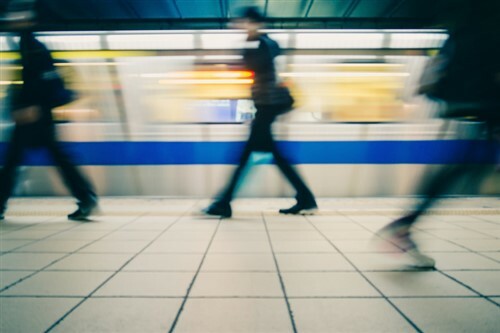 The exorbitant cost of housing has caused many Torontonians to leave for the region’s outskirts, but DLC Expert Financial’s broker-owner believes that better transit could buck that trend—especially considering how much money commuters end up spending anyway.